Every district of Hong Kong has a church, temples or shrine of some kind, many of which are visually stunning and culturally significant, so well worth a visit. 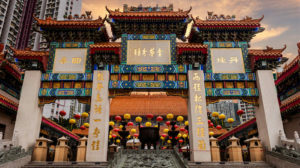 Here are some of the more noteworthy and historical temples in Hong Kong, along with other places of worship. Want more tips and advice on living in Hong Kong? Subscribe to get Expat Living’s annual CityGuide. Have you checked out 10 of the best museums in Hong Kong?